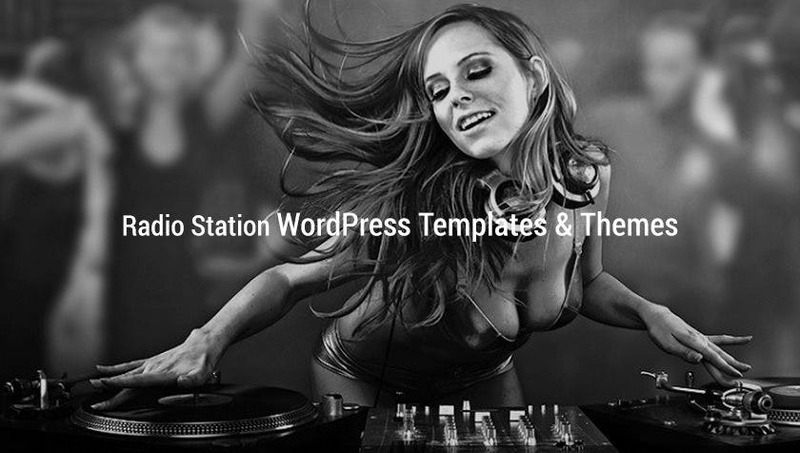 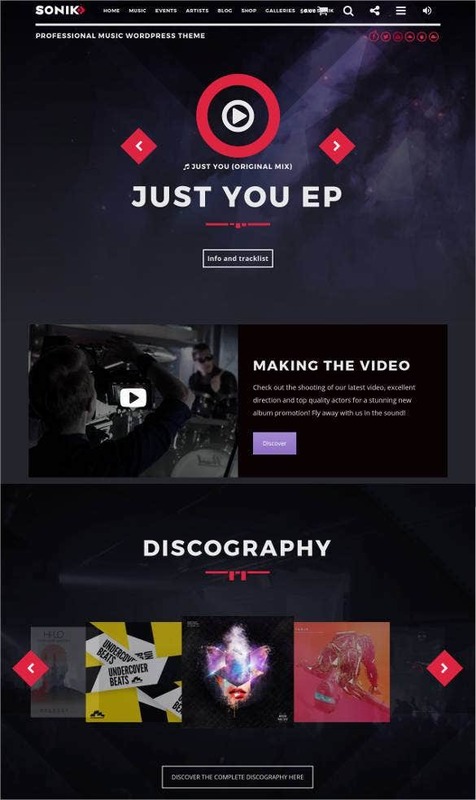 For radio station owners and music enthusiasts word press provides a plethora of themes on which they can base their entertainment wp website templates and make it attractive and appealing. 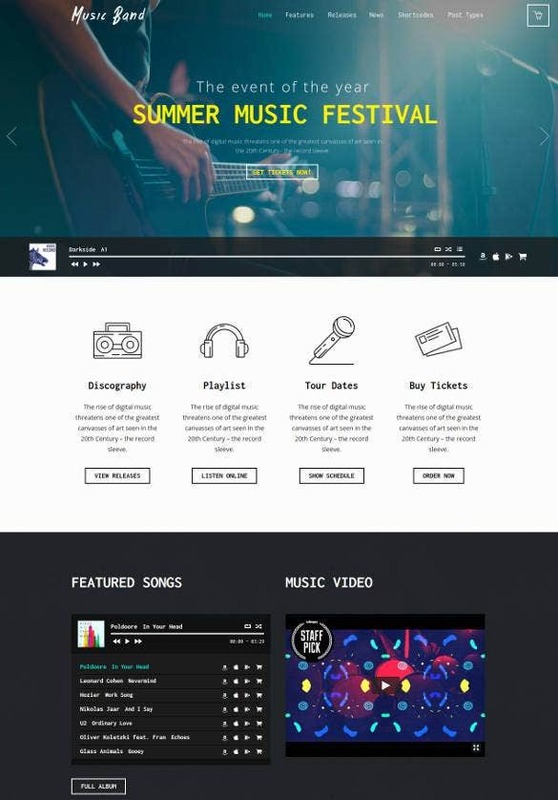 Using these themes you can allow live streaming of music, videos and other media, either automatically or by manual clicking, to set apart your website from the plenty of others. 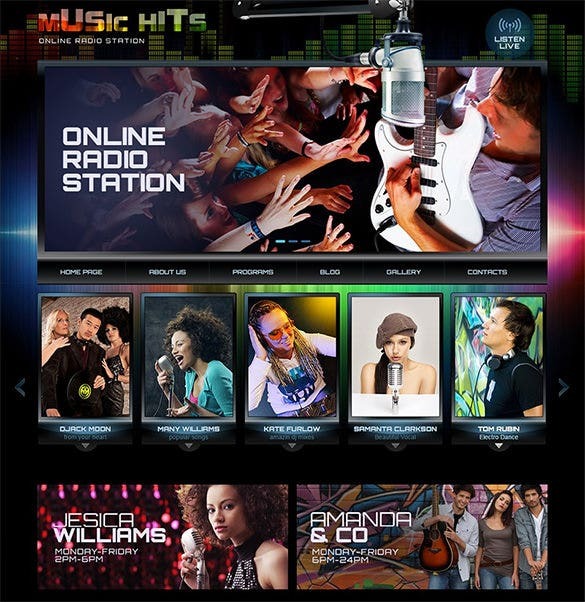 You may also visit Radio Station Website Templates. 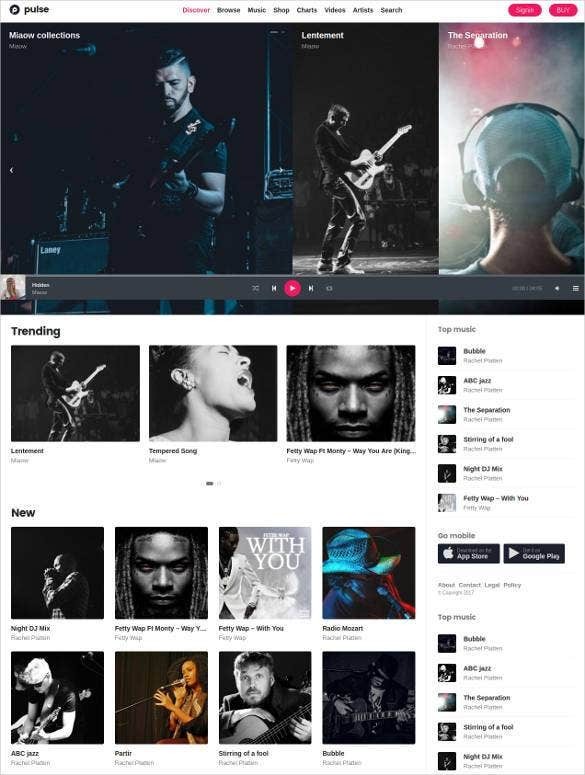 Other features can include categorized playlists, latest launch sections, easy one click downloads and a separate section for fans and followers to post their comments and reviews on the pages. 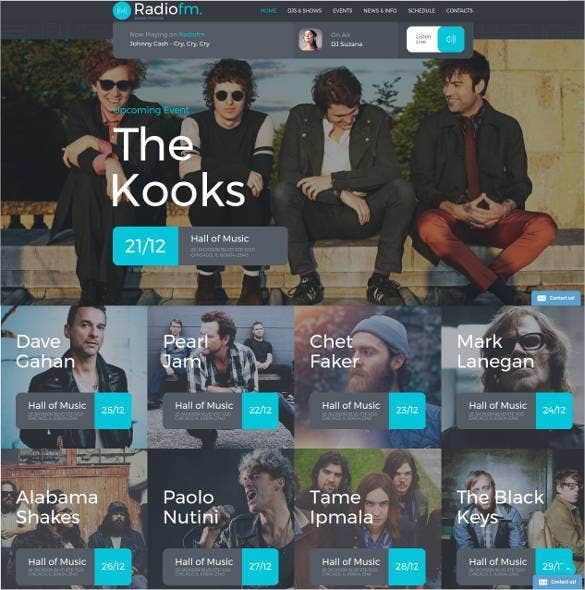 Special integration of social media buttons, direct access to online media pages of the website and one click access to details of the song schedules and station details are a great attraction for the music enthusiasts and the radio lovers. 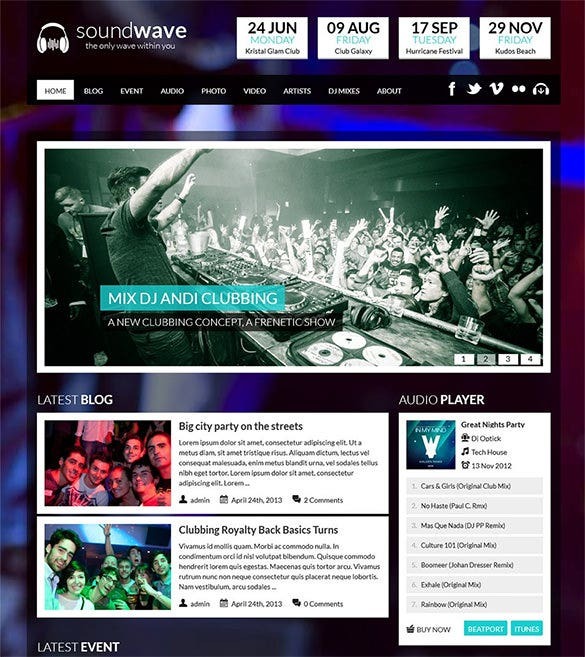 You may also visit Online Radio Joomla Templates. 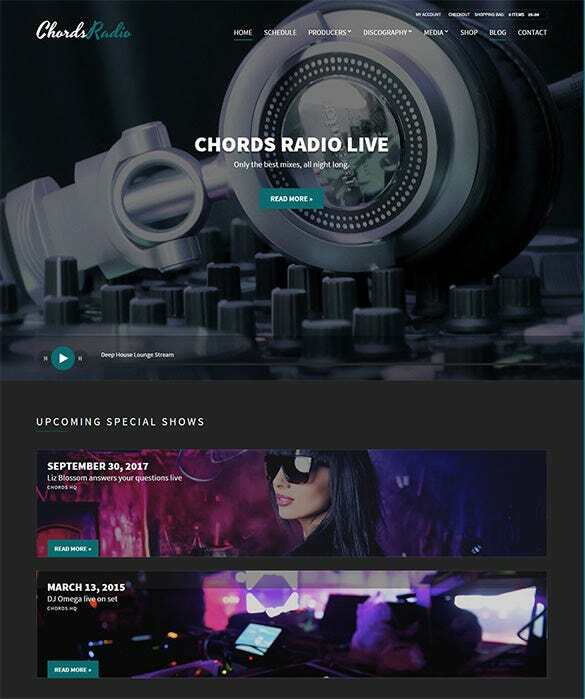 Featuring a stunning design, Chords is a radio station theme that is fully responsive and cross browser compatible. 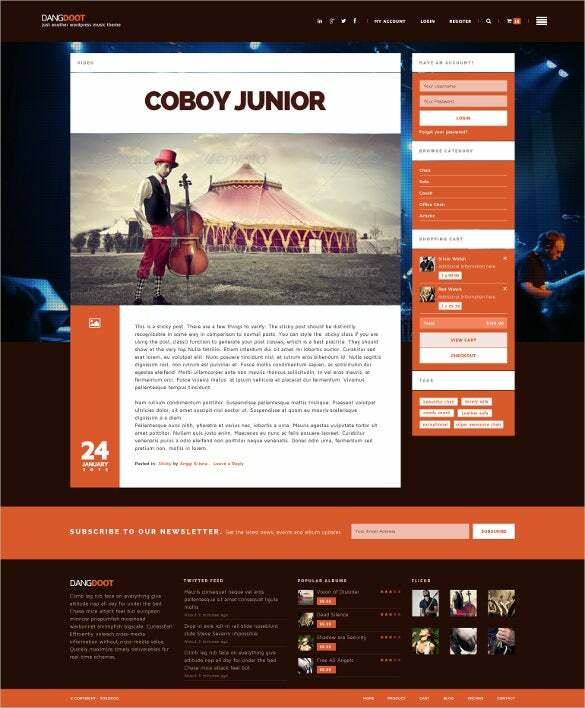 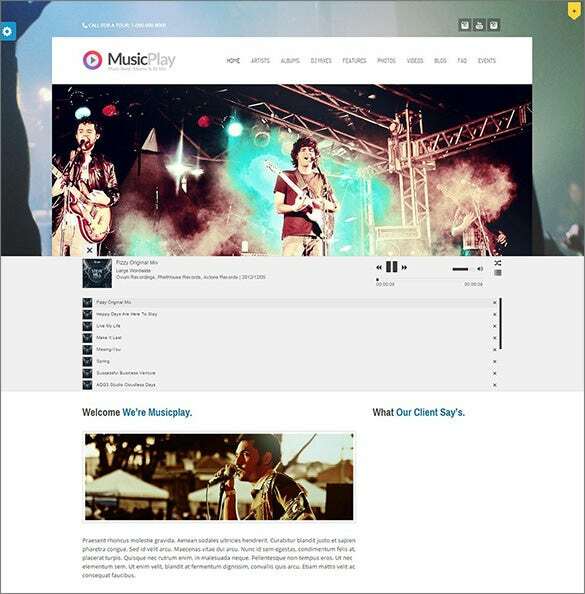 It comes bundled with a homepage builder and modules for event management and discography management. 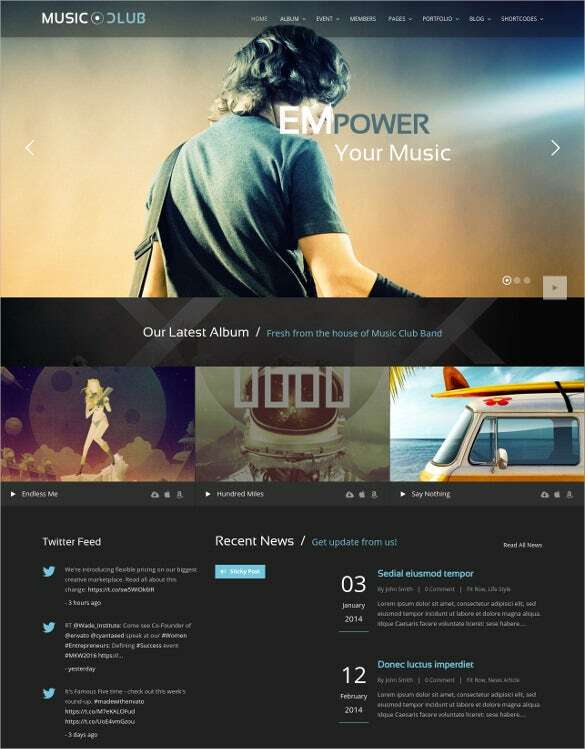 You may also like Responsive Website Themes. 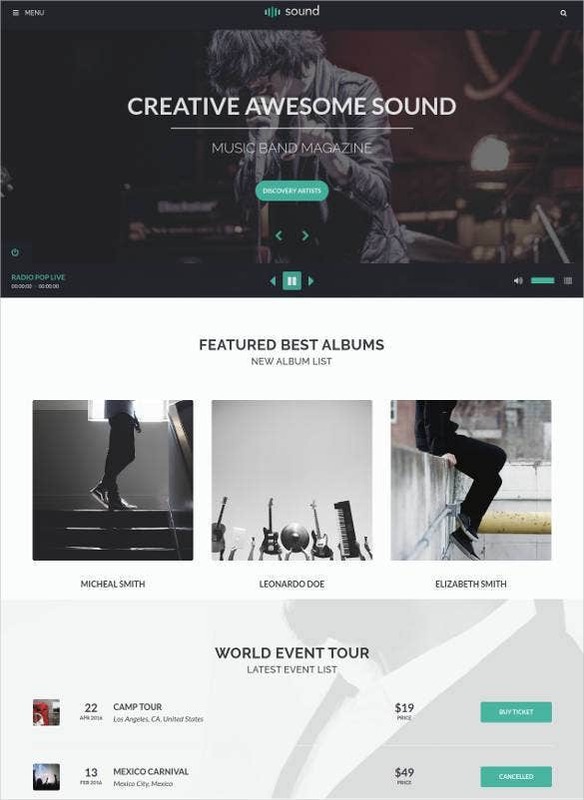 SoundWave comes with a 2 column layout, fixed layout and a beautiful design. 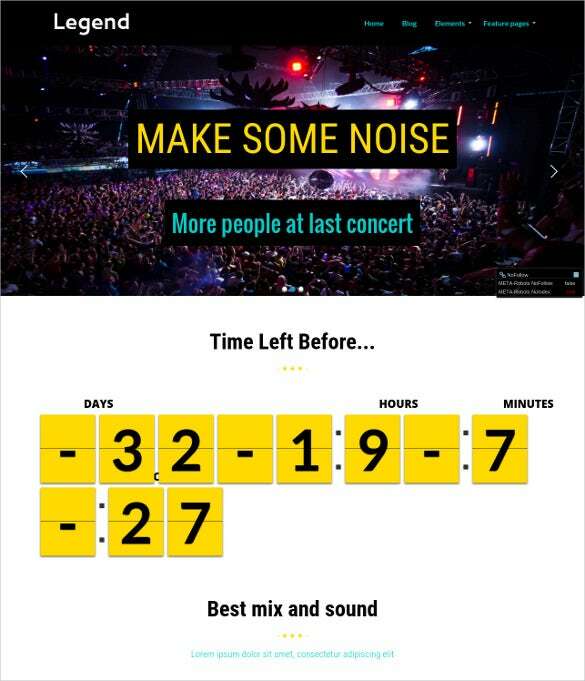 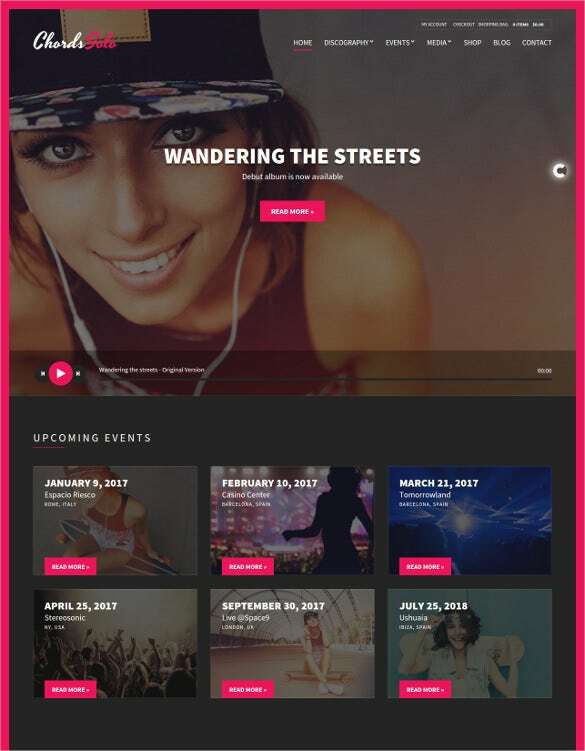 It is cross browser compatible and comes with features such as nonstop audio playing, an event manager, a photo uploader with complete album control. 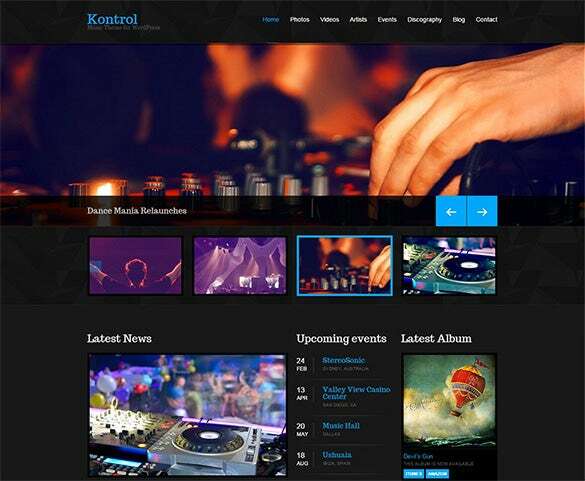 100% responsive and cross browser compatible, Kontrol is a gorgeous template that is speed optimized, retina ready and SEO ready. 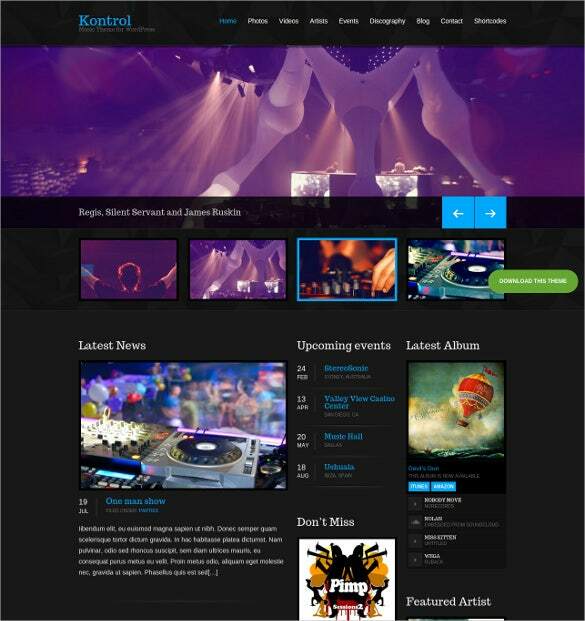 Also included are discography management and event management modules, support for 6 content types and custom widgets. 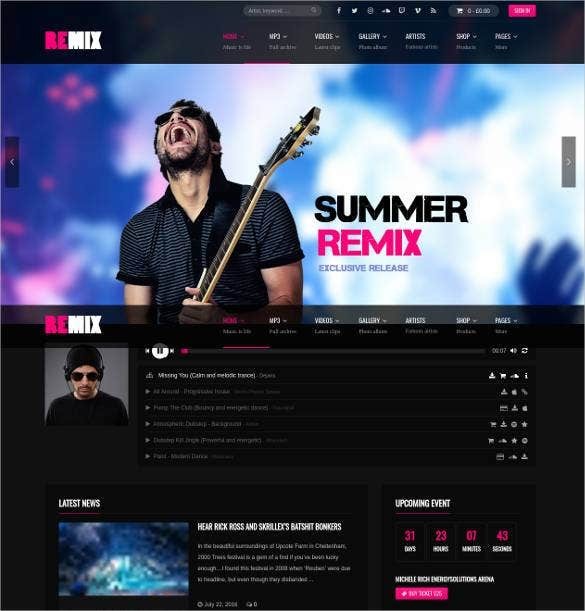 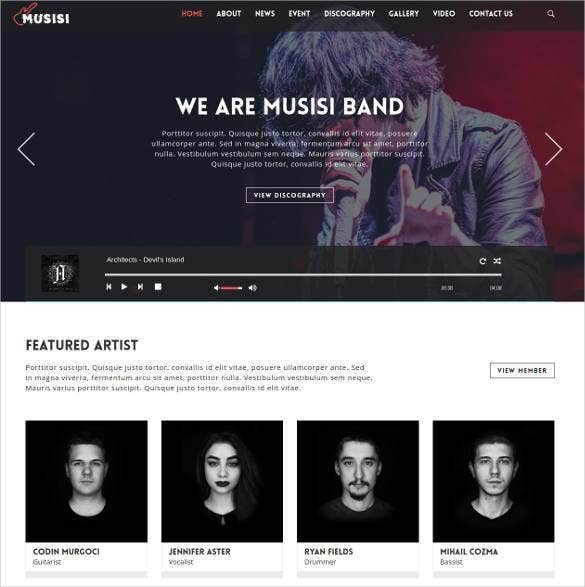 Online Radio Station is a fully responsive, cross browser compatible template with an exquisite design. 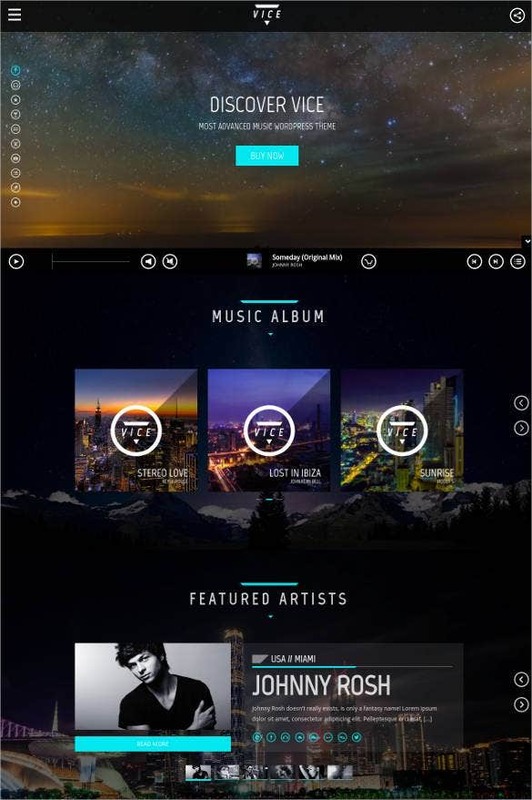 Built with easy reading and navigation in mind, this template comes bundled with galleries and a calendar. 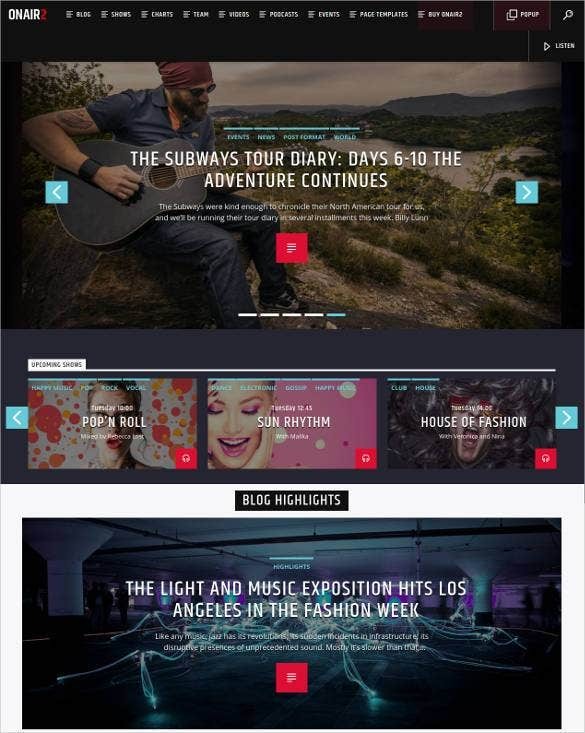 It is also SEO optimized. 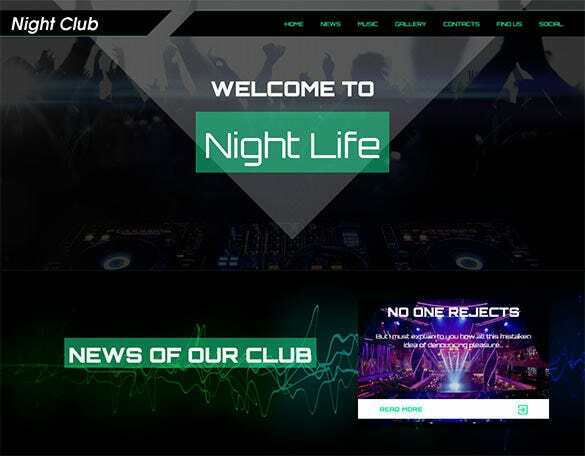 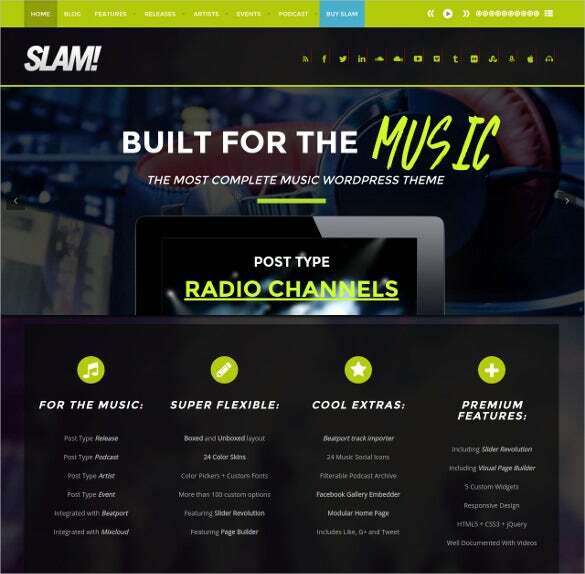 Using the Top wordpress themes for radio station you can display the upcoming event schedule, radio show details, show contents, details of the anchors and hosts and the results of various online contests for ease of access of the users. 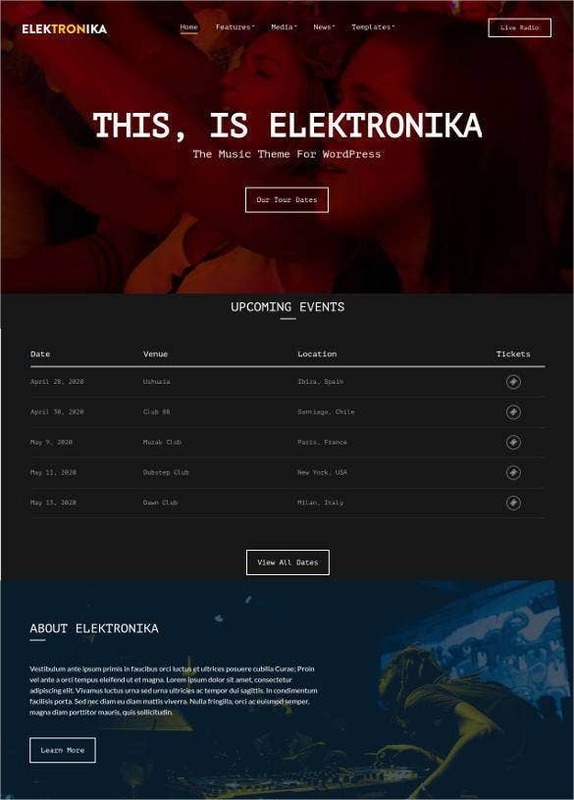 Maintaining an event calendar and auto notifying system for users who want to be notified about certain events can also be achieved by the themes. 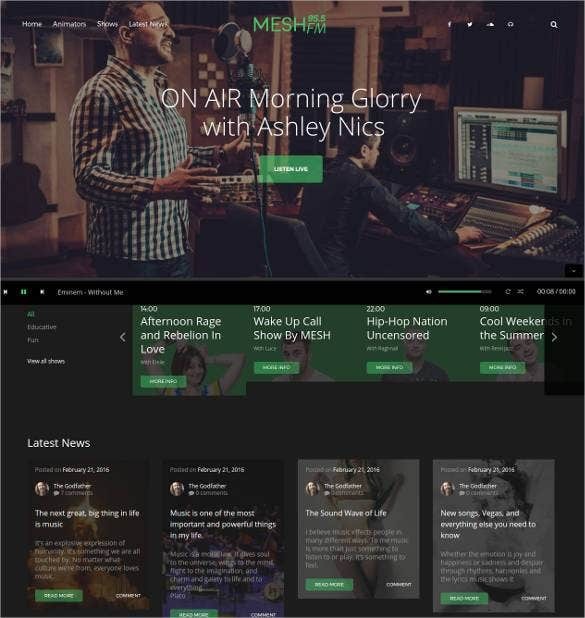 You can choose to stream media and audio freely in your website so that more users are attracted. 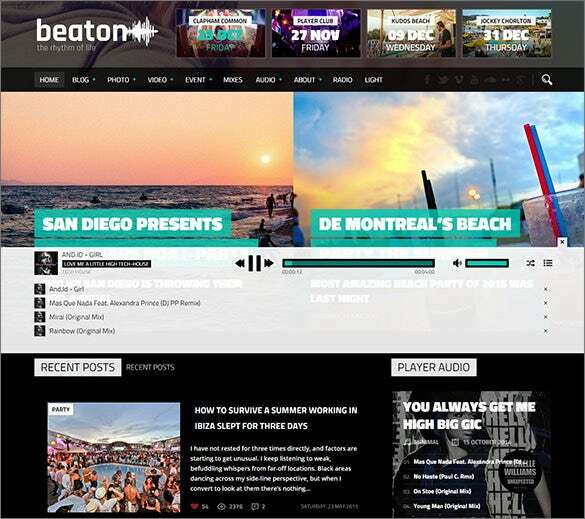 You can also allow users access to archives and studio videos which are not aired otherwise to keep the users interested. 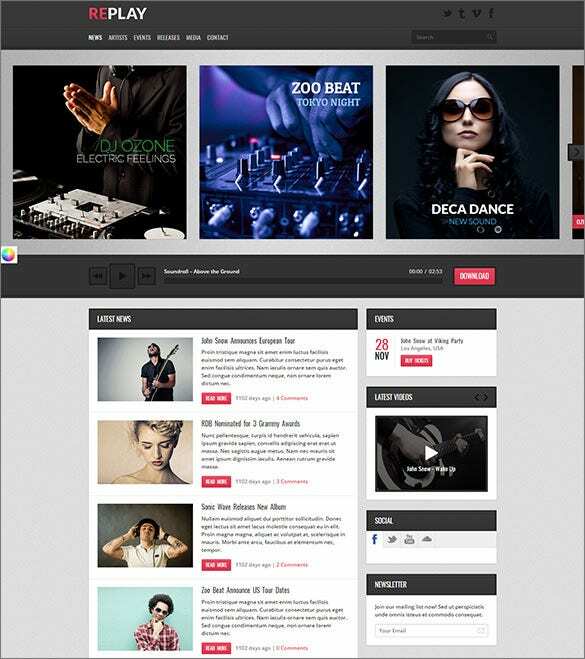 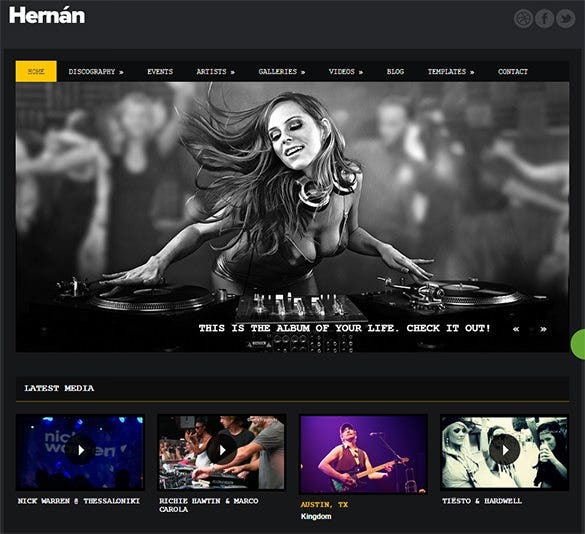 BestPlugins provides you with a list of the best wordpress Radio themes for your websites.